In order to protect our beautiful planet, there are many ways we can incorporate a more green lifestyle. From recycling, buying eco-friendly products, using more energy efficient appliances, and reducing waste… When working on a home remodel, there are great options to meet green building standards for better thermal protection and energy performance when choosing the right green insulation options for your home. Here are some green insulation options to consider which have shown significant benefits contributing to green building performance and LEED certified. Sustainability – Denim insulation typically contains 85 percent recycled content and 100 percent recyclable at the end of the insulation’s usable life. Eco-friendliness – Companies that produce recycled denim insulation divert waste destined for landfills and requires a great amount less energy than the manufacturing of fiberglass insulation. Energy efficiency – Using recycled denim insulation results in higher HVAC efficiency and lower energy bills. Improved health and safety – Removing pollution from inside your property and having better air quality will prevent irritation of the skin as well as from the respiratory tract. Humans have been taking advantage of wool to make warm clothing for centuries. But did you know this eco-friendly material is also available for home insulation? Wool has been used in the past as insulation in dwellings since ancient times to make insulating flooring and wall coverings to give the home warmth and stability. 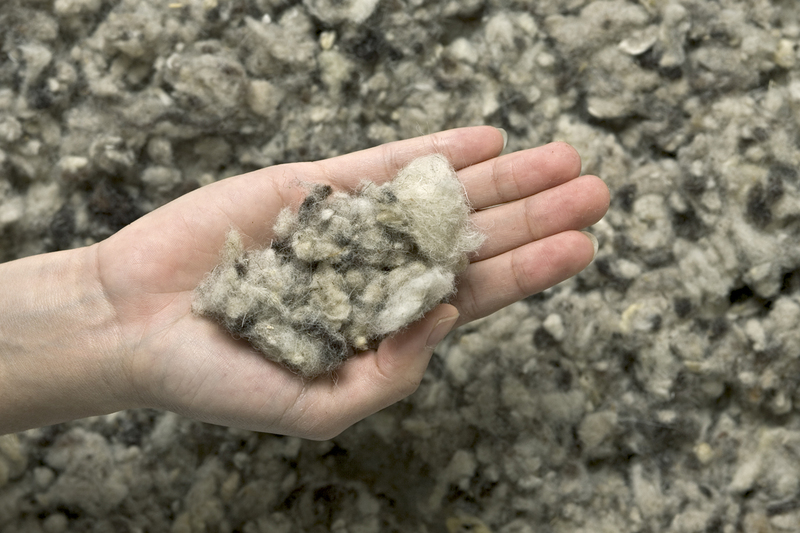 Wool is naturally fire resistant, but manufacturers typically still add borate to resist pests and mold. Wool even continues to insulate efficiently if it gets wet, a characteristic that arctic sheep use to stay warm in the wild. The main benefits of insulation is the way in which it prevents warm air from escaping your home. It acts as an effective barrier by adding pockets of air, or even a solid barrier, within the structure of your roof, floor and walls. Wool is also naturally soft and wavy, allowing it to naturally offer air pockets that trap air and prevent it passing through. This natural ability is what keeps sheep warm, and what makes it a great option to use for insulating your home. Best of all, sheep is one of the most natural and renewable resources in the world as they continue to grow wool throughout their lifetime. Although foam insulation is not green, LEED considers it to be proper to use as it is a fantastic air seal which makes it energy efficient as it doesn’t allow cold air to enter building and prevents hot air to leave. Nothing else seals as well. Foam insulation will stick to dirty surfaces, has low shrinkage so it won’t pull away from edges if installed correctly. We are so fortunate for all the green options that exist when it comes to building and remodeling homes. In the upcoming weeks, we will post additional content relating to creating a more green lifestyle for your family in your home.